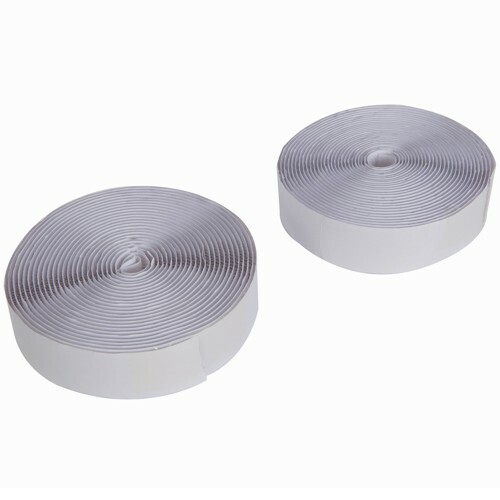 White self-adhesive hook and loop fastening system. Pack includes one roll of hook and one roll of the loop. Suitable for hundreds of uses around the home, including decorating, DIY, crafts and office projects.